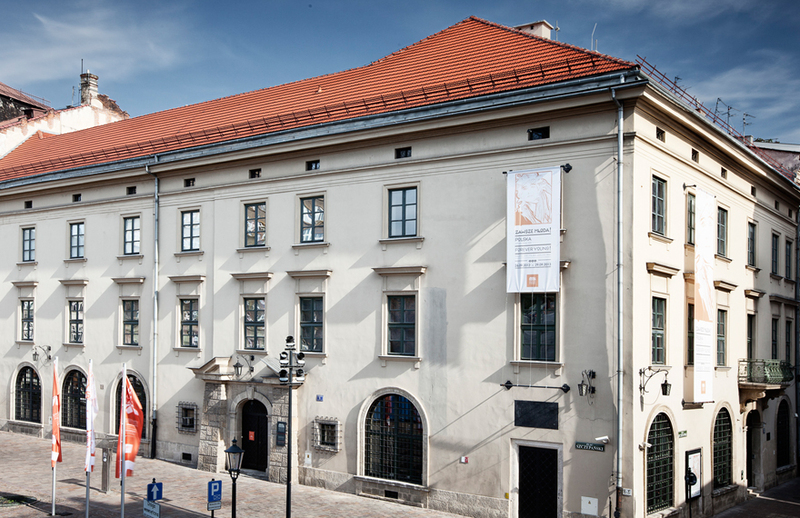 Feliks Jasienski Szolayski House is a branch of the National Museum in Krakow. It is dedicated to Feliks Jasienski, an art critic, art collector and a notable figure in the history of Krakow. ‘Szolayski’ refers to the name of a prominent bourgeois family who owned this building at the beginning of the 20th century and eventually donated it for the purpose of the National Museum branch. Feliks Jasienski was born in 1861 into a noble family of great repute and estimable history. The Jasienski family was one of the most affluent and influential landowning families in the Lesser Poland (Malopolska) in the 19th century. Feliks Jasienski was well educated in many fields, but above all, in art. He was an art critic and art collector of great sensibility. He was among the first and undoubtedly was the most successful in introducing Japanese art in Poland. During his life, he traveled across Europe and Asia. He had lived in Warsaw and Lviv, but the dearest city to him was Krakow, where he settled in Krakow in 1901. He played an important role as a patron of artists and was devoted to promoting modernism. His collections included graphics and ceramics, fabrics from Europe and the Far East, a collection of Japanese art and numerous antiques. They inspired many artists of the Young Poland movement. He was acquainted with the Krakow bohema and maintained close relationships with influential artists of the time, amongst many, Jozef Mehoffer. Feliks Jasienski donated results of his life-work to the National Museum in Krakow. The collection comprised approximately 15 thousand exhibits, including 6500 of Japanese art. The building on the Szczepanski Square was erected in the 15th century. Today’s shape is an effect of the 19th-century reconstructions. At the beginning of the 20th century, it was owned by the Szolayski family who bequeathed it to the National Museum. Work to establish the branch dedicated to Feliks Jasienski began in 1928 and resulted in opening six years later. 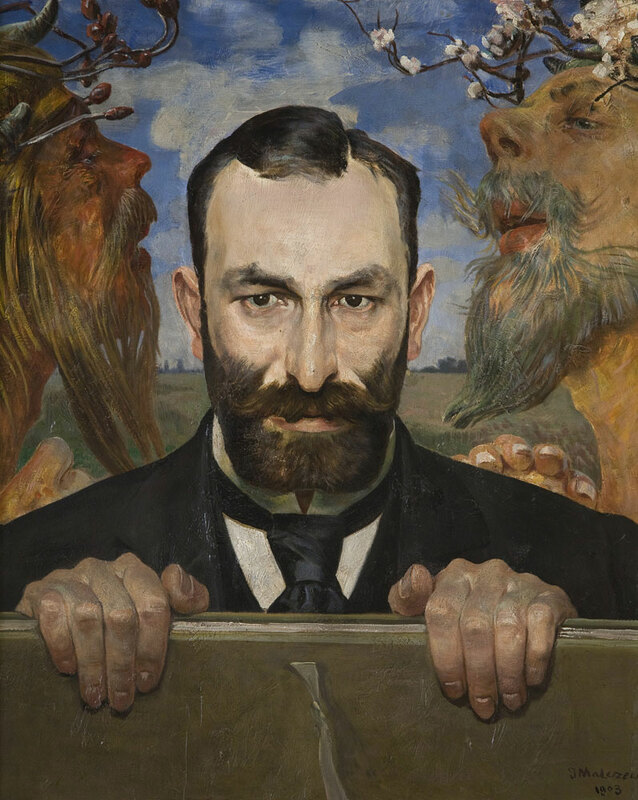 Feliks Jasienski had been overseeing the museum’s development until his death in 1929. After artist’s death, the Japanese art collection was not displayed entirely, since there was not enough space to install a complete exhibition of over 6500 objects. Since Feliks Jasienski was a propagator of Japanese art and culture, the vast majority of his collection comprises of artworks connected with Japan. The most valuable part is a set of woodcuts by Japanese artist Katsushika Hokusai, titled “Manggha“. Jasienski often used this title as his pseudonym. In 1994 all of Jasienski’s Japanese art collection was moved to newly built premises, where a dedicated museum opened. Manggha Museum of Japanese Art and Technology has been displaying Japanese art ever since, as well as promoting Japanese culture and tradition. Currently, in the Szolayski House mostly thematic temporary exhibitions are set. The branch also organises lectures, meetings, concerts and classes for children. The beautifully restored grand floor of the building now houses a quiet cafe and a bookshop. Tuesday – Saturday 10 a.m. – 6 p.m. The museum is closed for visitors on: January 1st, January 6th, Easter Sunday, May 1st (Labour Day), Corpus Christi, August 15th, November 1st (All Saints’ Day), November 11th (Polish Independence Day), December 24th and 25th. Limited opening hours (10 a.m. – 1 p.m.) on Holy Saturday, Easter Monday, Mat 3rd, December 26th and December 31st. Ticket prices vary depending on the exhibition.